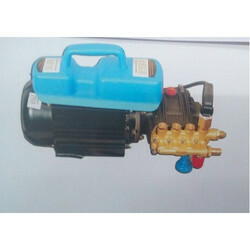 Offering you a complete choice of products which include pressure washer pump, btali high pressure washer, high pressure washer 1200g, high pressure washer and high pressure washer sml-1000g. Sometimes, dusting doesn't do much justice while trying to clean areas that are hard to reach. Water-blasting is technique of propelling water at high-speeds so as to rid of them of dirt and grime that difficult to remove, especially from areas that are difficult to access. 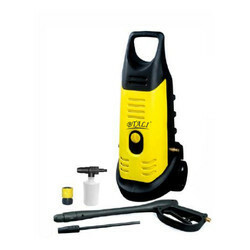 The BTALI 125 Car Washer is a specially designed high pressure mechanical sprayer that effectively removes loose paint, mold, grime, dust, mud, and dirt from surfaces and objects such as buildings, vehicles and concrete surfaces. The 125 BAR from BTALI is built around a lightweight and upright design that makes it easy for you to carry it around or move it from one place to another effortlessly. The pump of this high-pressure washer has an all-metal composition which makes it durable, sturdy and highly resistant to wear and tear. The attachments of the BTALI 125 Car Washer include a 0.5 litre bottle, a hose with a length of 3.5 m, a flexi jet lance and a jet fan nozzle. The ergonomically designed pistole is easy and highly comfortable to grip. The length of the cord of this ergonomically designed home appliance is 5 m. The net weight of this car washer from BTALI is 20 kg. It is trolley type so is easy to move around. Sometimes, dusting doesn't do much justice while trying to clean areas that are hard to reach. Water-blasting is technique of propelling water at high-speeds so as to rid of them of dirt and grime that difficult to remove, especially from areas that are difficult to access. The BTALI 150 BAR Car Washer is a specially designed high pressure mechanical sprayer that effectively removes loose paint, mold, grime, dust, mud, and dirt from surfaces and objects such as buildings, vehicles and concrete surfaces. The 150 BAR from BTALI is built around a lightweight and upright design that makes it easy for you to carry it around or move it from one place to another effortlessly. 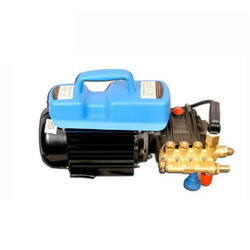 The pump of this high-pressure washer has an all-metal composition which makes it durable, sturdy and highly resistant to wear and tear. The attachments of the BTALI 150 Car Washer include a double soap bottle, a hose with a length of 3.5 m, a flexi jet lance and a 5 PC ADJUSTABLE NOZEL. The ergonomically designed pistole is easy and highly comfortable to grip. The length of the cord of this ergonomically designed home appliance is 5 m. The net weight of this car washer from BTALI is 26 kg.with 2500 watt motor induction type. 1.High pressure washers have been developed with the aim of removing stubborn dirt under tough working conditions. 2.Efficient cleaning results are achieved using high flow rates and high pressure. 1. 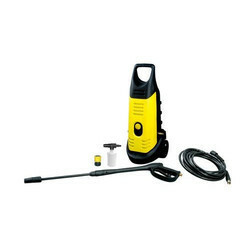 Efficient excellent power to weight ratio, to complete cleaning job quality. 2. Long service life, sturdy and reliable. 3. Variable pressure for optimal flexibility.